The Hyundai GENESIS sedan for 2014. The flagship of Hyundai's sedans, with the amenities and luxury you expect. 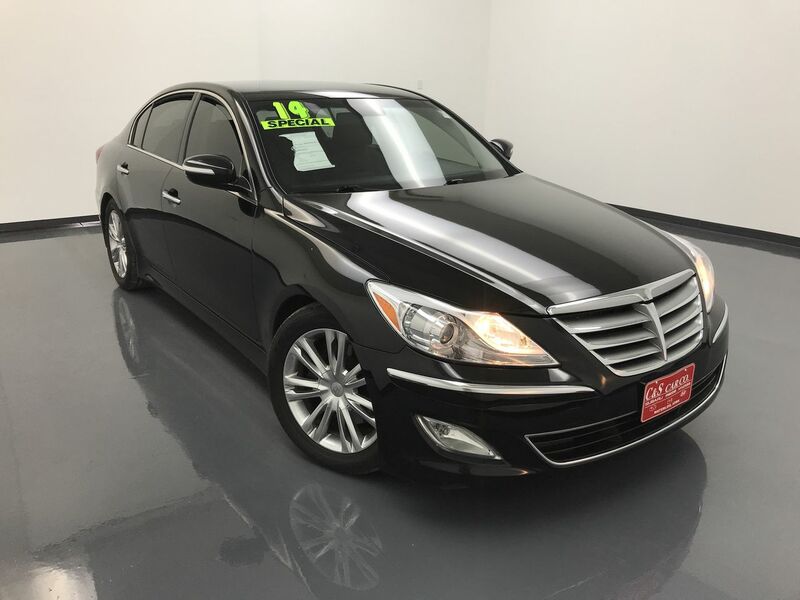 This Hyundai GENESIS 3.8 sedan has a full leather interior with heated and power assisted front seats, dual climate controls, keyless entry and ignition, a back-up camera, a trunk/cargo mat, and an AM/FM/CD sound system with XM satellite radio and Bluetooth connectivity. The Genesis has 18" alloy wheels with Toyo tires. Call C & S Hyundai toll free at 866-212-8718 or locally at 319-291-7321.